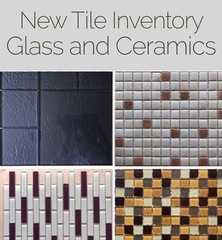 M21906 A Mid-Atlantic wholesaler is liquidating new tile inventory. Delivery available. AUCTION CLOSING DATE: Wednesday, November 28th 12:07 pm. Bidding closes on the first item at 12:07 pm, then closes at the rate discussed in these Terms and Conditions of Sale. REMOVAL:  Friday, November 30th 9 am to 4 pm. Delivery available from the seller. Please contact Deniz for more information.